During the first half of 2017, Germany and the UK remained the largest car market in the European Union where sales expanded nearly 5%. New passenger vehicle registrations in the European Union (EU) and EFTA countries increased by 4.6% to 8,461,476 cars during the first semester of 2017. Germany remained by far the largest new car market in Europe with sales increasing by 3% while Britain maintained its second place despite the British car market contracting by 1.3%. 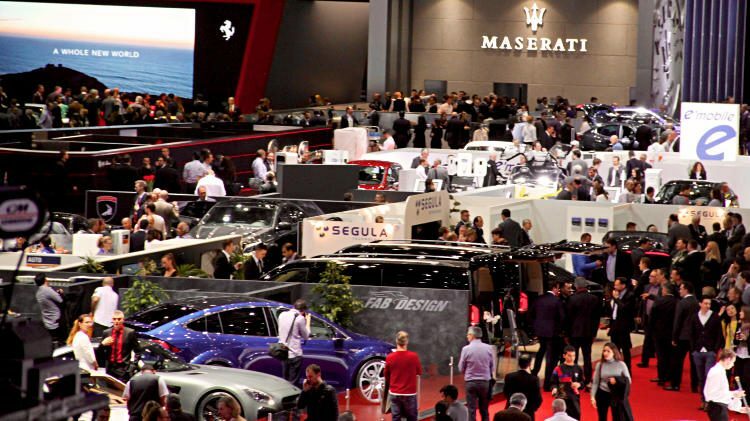 Car sales in Italy increased by a strong 9% to claim third place from France. Only four countries had weaker car sales during the first half of 2017 compared to the first semester of 2016. New passenger vehicle registrations in the European Union (EU) increase by 4.7% during the first half of 2017 to 8,219,921 cars. In the EU plus EFTA, the increase was 4.6% to 8,461,476 cars. Only Ireland, Finland, the UK and Latvia had weaker sales at the start of 2017 than a year ago. The European new car market is approaching the levels last seen in 2007 prior to the financial crisis. New passenger vehicle registrations increased in all but four European Union and EFTA countries during the first half of 2017. Growth was particularly strong in smaller markets. The German new car market expanded below market average but still added more than 50,000 more cars thus far in 2017 compared to the first half of 2016. The German market was particularly hindered by a weak performance by Volkswagen that saw its market share in Germany slip below 20% for the first time in years. The British new car market contracted by 1.3% – the only top-ten country with weaker car sales in 2017. The UK car market expanded rapidly in recent years and a weaker market in 2017 was widely predicted. Political and economical uncertainties also weighed on the market. Despite expanding at the same rate as Germany, the French new car market slipped to fourth place in Europe behind Italy. Car sales in Italy increased by 9% during the first half of 2017 to grab third place with only a thousand more cars than were sold in France. The Spanish market continued its recovery while sales in Belgium were up but below market average. In contrast, the Polish and Dutch new car markets expanded fast. The only rank position changes were Italy moving ahead of France, Hungary surpassing Greece and Croatia moving ahead of Luxembourg. The worst performing market was Ireland while sales were only slightly weaker in Finland, the UK and Latvia. The fastest growing markets were Romania and Croatia with sales up around a quarter while sales were up nearly a fifth in Lithuania, Bulgaria and Hungary. The Italian new car market increased by 93,000 cars while Germany added around 50,000 cars.